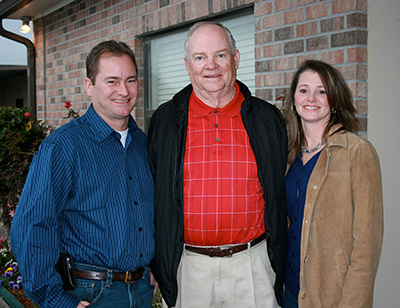 About Us | Peppers Unlimited of Louisiana, Inc. Established in 1993, Peppers Unlimited, Inc. carries through a long Bulliard family tradition of crafting pepper sauce—100 years and 4 generations. When we say we know peppers, we mean it! Edmond and Louise Bulliard produced and bottled the first commercially sold Cayenne Pepper Sauce in 1910, and we’ve been packing peppers ever since. Located in St. Martinville, Louisiana, our state-of-the-art, 200,000-square-foot facility boasts the capacity to produce more than 100,000 gallons of bulk sauce a day and allows us to serve more than 1,000 clients worldwide in three distinct industries: retail, food service and industrial. The second biggest producer in the market, and the fastest growing—we’re the business you know by flavor not name. Only 25% of our bottled product carries the Bulliard’s brand, but we guarantee you know our customers well. National retail brands, top restaurant chains, hospitals, schools, military and prisons worldwide rely on our customized sauces to spice up their food and heat up their sales. Delivering something different for everyone, we use only top grade ingredients to produce superior products with a level of expertise and experience perfected over a century. Renown for our blending process, we’ll meet or beat the competitor’s best. Add our family-style service, on-time delivery, rapid reaction time, and no-fail product consistency, and you know why our customers keep coming back. Cajun cooks with a flare for flavor—we don’t stop with hot sauce. At Peppers Unlimited we also manufacture Steak Sauce, Worcestershire, Marinade, Barbecue, Chicken Wing Sauces, Soy Sauce and Teriyaki for our private label clients, bulk shipments and under the Bulliard’s of Louisiana and Louisiana Supreme brands. • We currently manufacture 1 million gallons of sauce per month. • We cap 100 million bottles annually. • We have the capacity to double our production. • We can turn your order around with just three weeks notice.